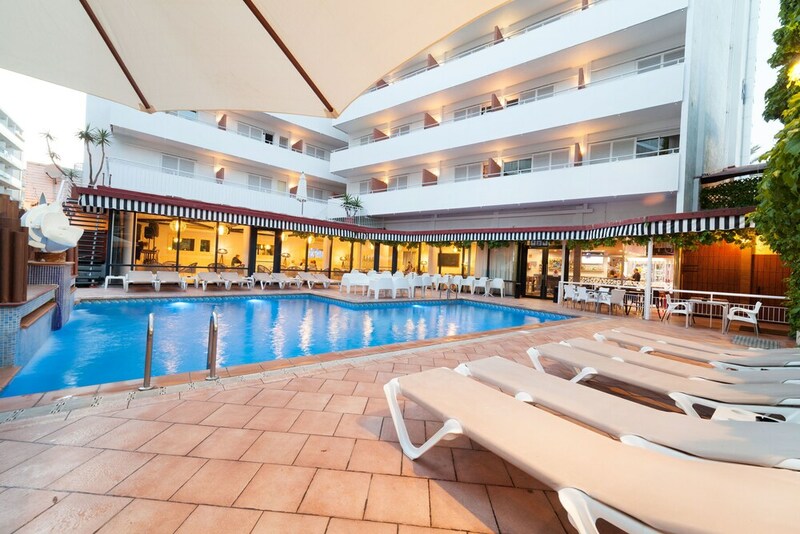 With a stay at Xaine Park in Lloret de Mar (Lloret Town Centre), you'll be a 4-minute walk from Lloret de Mar Beach and 15 minutes by foot from Fenals Beach. This 4-star hotel is 1.1 mi (1.7 km) from Water World and 7.6 mi (12.2 km) from Tossa de Mar Beach. Make yourself at home in one of the 201 air-conditioned rooms featuring flat-screen televisions. Rooms have private balconies. Complimentary wireless Internet access keeps you connected, and satellite programming is available for your entertainment. Bathrooms have bathtubs and hair dryers. Don't miss out on recreational opportunities including an outdoor pool and a fitness center. This hotel also features complimentary wireless Internet access and tour/ticket assistance. At Xaine Park, enjoy a satisfying meal at the restaurant. A complimentary buffet breakfast is served daily from 8 AM to 9:30 AM.